Come fly with me, let’s fly, let’s fly away… Take a trip, saw through the skies and let your imagination take over with this beauty of a site. Possibly one of the easiest landing pages I’ve seen in a really long time. Its colourful, exciting and makes you want to enter into a different magical world. Scroll down the main page and you will see everything you need to get your gaming started. Everything is broken down in an easy to find way, from jackpots, classic slots, providers, new games, the list goes on. As welcome bonuses go this is, so far, one of the best I’ve come across. 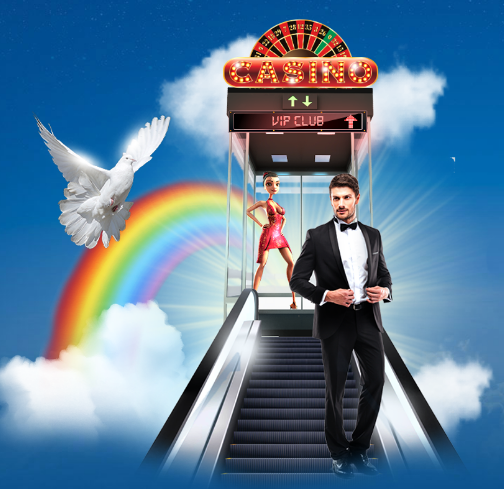 An offering of up to €1,500 and 300 free spins! Doesn’t sound too bad at all! The bonus structure is staggered in to four parts, all based on your first to fourth deposits. To claim the first bonus, you just need to get yourself over to the cashier and select bonus from the drop-down box. For the other three you need to enter the bonus codes. So, make sure you have them to hand so your not missing out. Free spins are available to use on Starburst, Gonzo’s Quest, Red Riding Hood or Aloha. 30 free spins are credited instantly once the qualifying deposit has been made and the remainder are credited at 30 per day for 9 days on the pre-selected games. The welcome bonus T&Cs are something to be noted too, so you don’t get caught short. Just like other casinos Sloty has some great Promotions that are ran regularly. There’s something for everyone going on all the time. Fancy some happy hour slot play? Well these guys have you covered! For 2 hours every Tuesday, deposit and play through €20 either Fairy-tale Legends: Red Riding Hood, Aloha! Cluster Pays or Dazzle Me. You can either play it all on one or across all three, the choice is all yours! Another fun promotion from these guys is their “Game of the Week”. Every week they give out free spins on a new game. All you need to do is make sure you have made 2 deposits since joining with a minimum of €10 that’s been wagered the previous week. 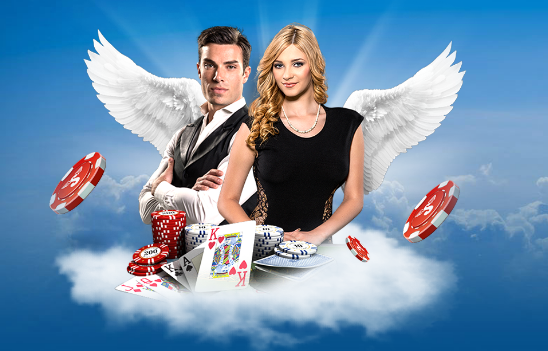 Then all you need to do is sit back and enjoy the 25% up to €100 bonus and 10 free spins. A truly personalised experience from the Sloty angels! The VIP wings offer you some great delights with exclusive offers. From bonuses and free spins, to holidays around the world, right down to personalised birthday presents! You’ll get your usual dedicated account manager, but additionally you’ll also get personal payment and withdrawal services. And if that wasn’t enough, you get exclusive invitations to Sloty events and promotions! Not a bad VIP Club right there! The City of Slots has over 500 games for you to choose from. So, no shortage there of finding something you like with an ample number of suppliers and games. They have everything form 3D video slots right down to progressive jackpot slots. As with most sites, Sloty will give you a helping hand if you’re stuck for a game to play. You can pick from Classic Slots, Providers, New Games, Popular Games. Or if you fancy browsing till something takes your fancy you can take a look in the all games tab. As well as having an extensive catalogue of slots, Sloty also has a great Live Casino selection. You’ll find a great range of round the clock live casino games from Evolution Gaming and NetEnt. Here you’ll find affordable bets from low minimums and high maximums, something for everyone. You can also live chat with the dealers in real time comfortably on mobile and desktop. Be it Blackjack, Roulette, or Baccarat, these guys have something for everyone. Sloty is licensed under both Malta Gaming Authority and UK Gambling Commission. When depositing cash, Sloty doesn’t charge a commission fee. Deposits and withdrawal methods are super fast and generally instant. 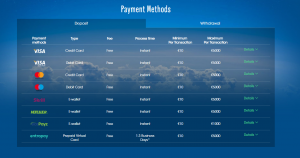 Skrill, Neteller, Skrill, EcoPayz and Visa/ Mastercard being instant and Entropay taking 1-3 banking days. As with most casino’s Sloty has a withdrawal limit in place. There’s no confirmation of what the daily/ weekly/ monthly amounts are. But there is a list of what the limits in general are. As with the rest of the site, payment details are easy to find and clear. Payments tab on the home screen directs you to the payments table and lists all deposit and withdrawal methods, timescales and max limits. The concept is great, it’s user friendly and overall is a great site. Promotions, bonuses, tournaments make you want to keep coming back and leaves you feeling like you’re on cloud nine! Which is exactly where they want you to be! A solid 4.5 stars for this beauty! Don’t forget we are constantly trying out casinos and playing them daily on our Twitch stream!